Picture Credit: J.P. Walters Design. Designer is award winning James Patric Walters. Zen style kitchen with Volcano Satin granite has been selected granite countertop: kitchen countertop materials. 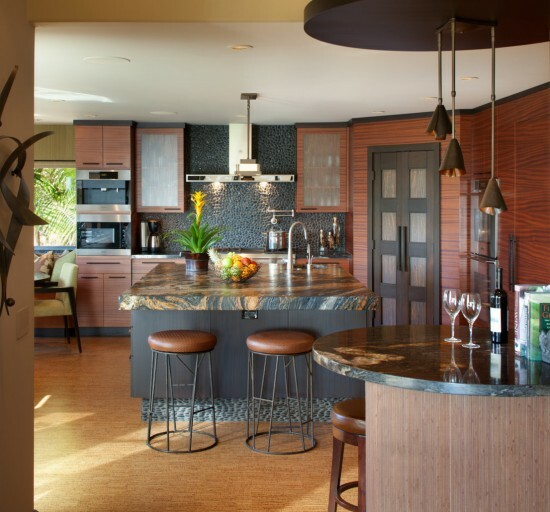 In kitchen countertop materials, granite countertops are very popular. It can be told that, granite countertops are not referring to upgrading instead the entitlement. Granite countertops come in many grades, thickness, colors, and price ranges. Granite is hugely fashioned countertop option because it combines practicality and durability with an attractive, luxurious look. What is the priority of granite in Kitchen Countertop Materials? Granite Countertops can be picked up by having some physical properties in Kitchen Countertop Materials: These are; being tough and waterproof, resisting highly to scratch and heat. Granite has a long lasting color and it wipes clean easily. This unique material has always-top three ranks in countertop materials. 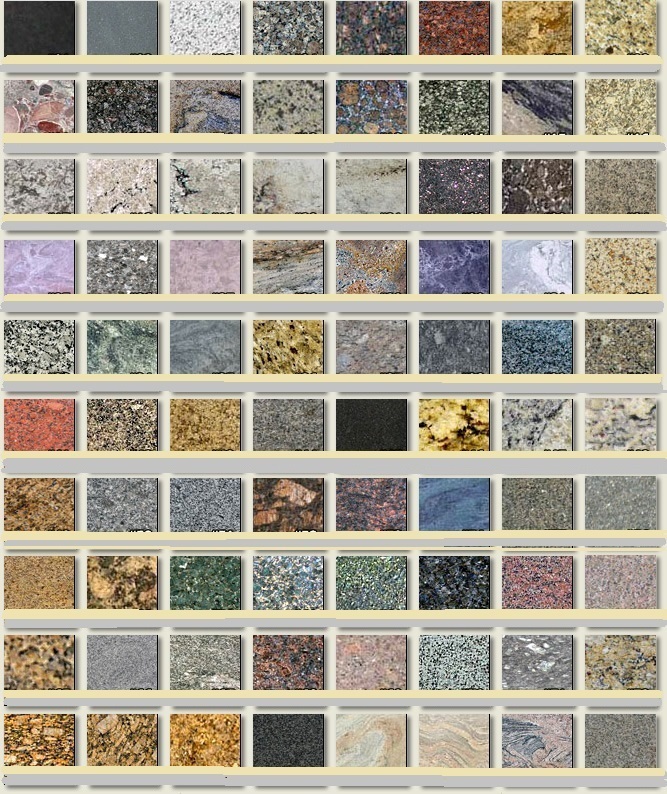 What are the parameters of granite to be well known in Kitchen Countertop Materials? Colors and patterns: Since granite is a volcanic rock, it consists of numerous minerals that had been melted in the same pot in several millenniums and/or that had been formed under high pressure; colors and patterns have huge grades. The geological location affects the granite color too. The colors and patterns are given to granite by minerals found in granite. The minerals are quarts K-feldspars, plagioclase feldspars, potassium, and micas. Granite color charts might be very helpful for the buyers, to make the good decisions for their kitchen. However,color charts should only be used as a visual reference. As I try to explain, granite is natural stone material and an exact representation of its colors, grains, veining, fissures or any other condition would be impossible to be illustrated in the charts. The most popular colors can be listed as: Blue in the Night, Typhoon Bordeaux, Black Galaxy,Blue Pearl, Labrador Antique, Titanium, Black Fusion, Crema Bordeaux, Ivory Fantasy, Kashmir White, Colonial White, Bianco Antiquo,Saturnia , White Ice, Emerald Pearl, and Red Dragon, Bianco Romano. Some pictures below for your review. Please share your valuable comments. Picture credit: Granite Gannies . Kohler stainless steel sink with blue in the night granite. Queen with parliament blue in the night popped up by stainless steel under mount sink. Picture Credit: Lane Homes and Remodeling Inc. Contrast of red dragon granite with turquoise cabinets… Colorful happy kitchen. Picture Credit: DeLaTierra Stonework Inc. Go green Go! Emerald Pearl granite bring a green taste to this picture. Picture Credit:Levantina Beautiful, French style kitchen cabinets and gorgeous Titanium granite . The kitchen has an elegant touch . Price range varies from builder grades to exotic colors and movements. It is all up to your imagination to make your kitchen unique in your kitchen remodeling and kitchen renovation pathway.